Ethiopia, in Eastern Africa, is a fascinating place to volunteer abroad, and a destination where our volunteers can make a huge difference. 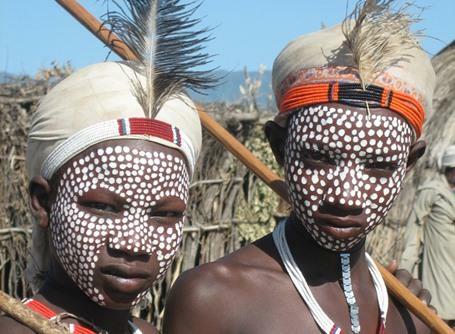 Our voluntary projects in Ethiopia are available for anyone interested in volunteering in the developing world, including those on a gap year, career break or volunteer holiday. Our volunteering opportunities are located in schools teaching English, or in Care projects in care centres. 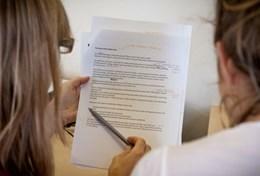 Volunteers also take part in Physiotherapy and Journalism work experience projects. 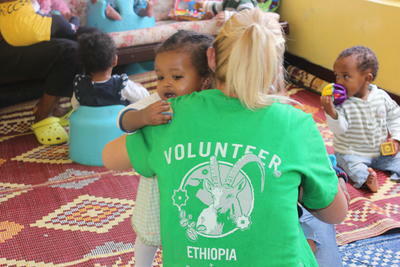 Projects Abroad volunteers live with local host families during their placement, which guarantees that they experience another underrated aspect of Ethiopia - its friendly and welcoming people. 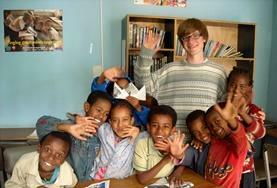 Click here if you would like us to call you to discuss volunteering in Ethiopia. 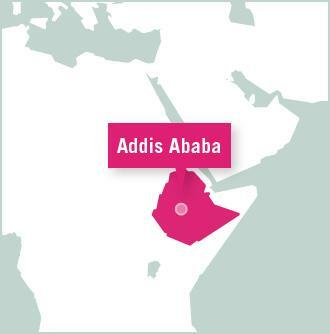 Projects Abroad Ethiopia is based in the capital city, Addis Ababa. 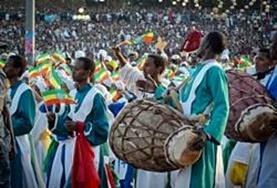 Addis Ababa is a rapidly growing city that combines elements of old and new Ethiopia. Located in the centre of the country at an altitude of 2400m, Addis is the third highest capital city in the world and has a pleasant, temperate climate with warm days and cool nights. It is impossible to think of Ethiopia and not recall the haunting images of famine from the 1980s and 2000s. With the unpredictable rains, lack of food in the dry northern areas of the country will undoubtedly occur again. However, with an increased international presence and early warning indicators in place, famine on the scale of previous disasters should become an increasingly distant memory. This region of Africa still needs much support, and it is a great location for anyone wishing to help by doing some overseas voluntary work. 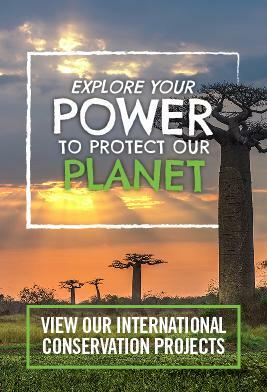 Ethiopia is the size of France and Spain combined, and most first-time visitors are amazed by the variety of lush landscapes and spectacular scenery that the country offers. 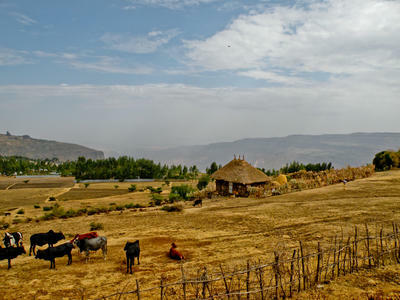 From the fertile countryside and multicoloured lakes of the Rift Valley to the rocky backdrop of the world-renowned Lalibela churches or the dramatic snow-capped peaks of the rugged Simien Mountains, most of Ethiopia is nothing like the parched and barren land that comes to mind from news reports. 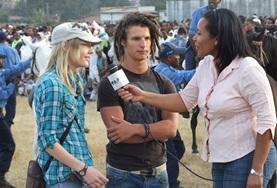 On weekends you can take time off from your volunteer work to explore the attractions of Addis Ababa. You'll find it fascinating to find mud huts basking in the shadows of lavish high-rise hotels. Priests in traditional dress hurry along the streets alongside suited business men chatting on cell phones, avoiding the passing donkeys and speeding Land Rovers. The choice of entertainment is equally varied, with plenty of activities to choose from. You can spend hours exploring the Merkato, one of the largest markets in Africa, visit a tej beat - a traditional local pub - or catch the latest Hollywood blockbuster at the cinema. Addis Ababa also contains some of the best museums in Africa, as well as good restaurants, serving some of the most highly-seasoned food that you'll get anywhere on the African continent. Popular traditional Ethiopian specialties include the stew-like wat and the staple bread, injera. At the end of your volunteer placement you can take the opportunity to travel to Lalibela, a place of pilgrimage with churches hewn straight out of the bedrock, located 2630m above sea level. Although Lalibela is one of Ethiopia's main visitor attractions it still remains very isolated and you'll feel like you've travelled back many centuries. Independent travel in Ethiopia is hugely rewarding, even though the infrastructure of the country is fairly basic. You'll get used to the curiosity that you attract as a Westerner, and you'll make many warm and genuine friends here. 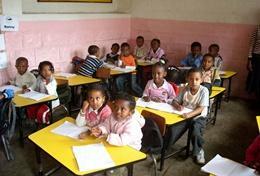 Work in a day care centre or kindergarten in Addis Ababa. 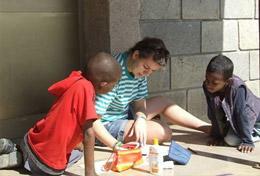 Your role as a volunteer will include helping feed and dress the children, teaching basic numeracy and playing games. Work for a weekly publication and get involved in proof-reading and editing the work of other writers, as well as researching and writing stories of your own, or assist the advertising department. Shadow local doctors at a private health clinic in Addis Ababa and learn more about a number of different conditions and treatments including haemodialysis and HIV/AIDS. Shadow local doctors at a Physiotherapy placement in Addis Ababa and learn more about a number of different conditions and treatments. School children are taught all subjects in English from the age of 12 upwards. Therefore, it is important that children get a good grounding in English from an early age. Teach French at a local language school in Addis Ababa, which is attended by high school graduates looking to improve their skills. Take part in an intensive standalone Amharic language course or sign up for language tuition alongside your regular placement. On this voluntary journalism project you will be working with a weekly newspaper in Addis Ababa. This newspaper is published in both English and Amharic and provides an important service to local citizens. On this project your guidance and support will provide an alternative to existing teaching techniques. 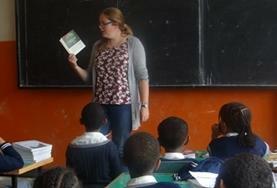 Volunteers are placed either in a primary or secondary school in Addis Ababa. 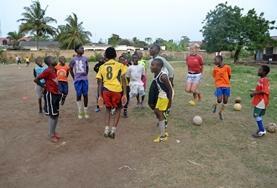 On this volunteer teaching project you will be teaching sport to primary and secondary school children in Addis Ababa. 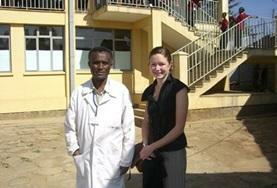 On this project you will be helping schools in Addis Ababa improve the standards of their science teaching. 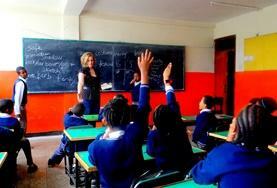 Volunteers can choose to teach biology, chemistry or physics.